The rhythmic sound of the human condition is juxtaposed against the quiet play of laser-induced bells. Stephanie Simek is creating, tinkering her way through the soundscapes of bio-science and electrical engineering. The spirit of this driven artist chases an answer in the exact manner that the scientist does: “All religions, arts and sciences are branches of the same tree” (Albert Einstein). Her methods follow Edison’s ethic of persistence; her outcomes remind us to stop, stand still, and listen. Musical Sweater for the Blue Whale, Portland State University Littman Gallery, 2013. 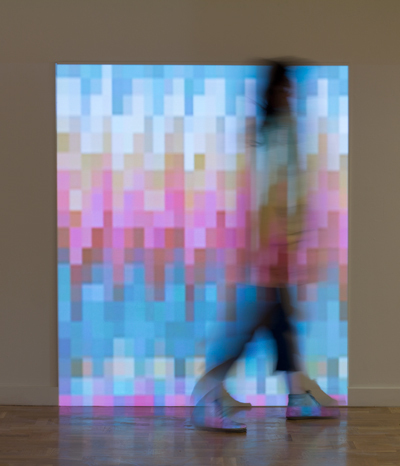 As the digital sweater is woven from left to right, the red, green, and blue color values of each pixel are translated to produce the accompanying musical score. The projected surface measures five feet in height, which relates to the approximate height of the human body. At this size, when complete, the sweater is large enough to wrap the circumference of a blue whale, the largest creature known to exist. 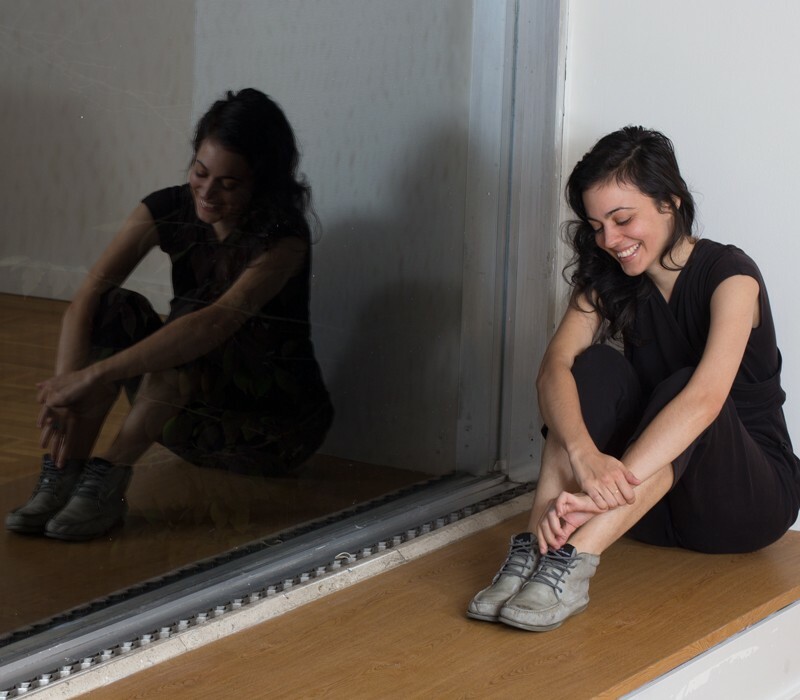 Through her continued experimentation and personal sense of wonder, Stephanie’s works range between the sciences, pivoting around sound; sculpture; and site-specific installation anchoring her works. In her work Slop, created for the Creative Music Guild’s improvisational summit in June 2012, it was the sound waves that created the physical sculpture. The installation melded human noises and music physically passing through a non-Newtonian fluid. Non-Newtonian fluids interpret sound waves as a physical matter that writhes in time to the ebb and flow of the sounds that produce them. During the spring of 2012, Stephanie participated in Pacific Northwest College of Art’s celebration of John Cage’s 100th birthday—Happy Birthday: A Celebration of Chance and Listening. Cage and Simek share chance as a symbol in their mutual language of expression; chance and the ever-changing sonic experience for the viewer are hallmarks of both creators. In the site-specific work Venus Fly Trap Circuit, Simek features living materials in the construction of her work. The piece relies on sound vibration, via viewer interaction, to close the fly trap’s petals, completing an electrical circuit that powers handmade kaleidoscopes that are visible from the gallery or the street. Her work features not only a deep curiosity in the cultural archaeology of antiquated technologies but also depth in concept and visual construction. Radio Room, Place Gallery, 2013. 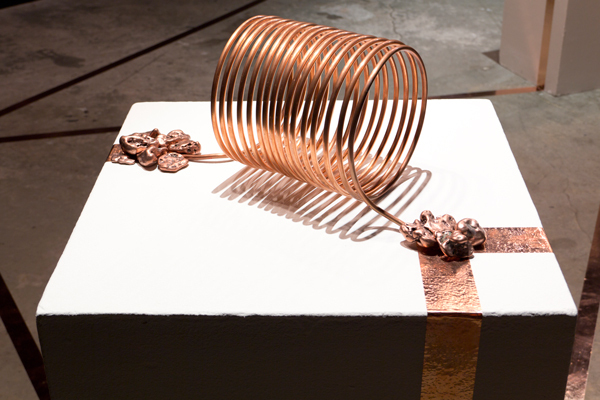 Various sculptures combine to create a large-scale AM radio made from copper nuggets, crystal formations, rare earth magnets, and paper, connected by a conductive conduit and played through an amplified speaker. Her sculptural installation Radio Room, exhibited with Place Gallery in 2013, turned the space into a functional crystal radio. Her aesthetic ranged from Piet Mondrian, with copper tape connecting the circuits around the room in a stylized geometric abstract fashion, to notes of Marcel Duchamp, found in the expert placement of fundamental mechanisms, such as the Pyrite tuner. The thoughtfully crafted lines of shimmering copper were an aesthetic entry point; however, it was the invitation to the viewer to tune the radio by adjusting the crystalline parts that truly drew people into the awesome experience. Radio Room tuning apparatus. 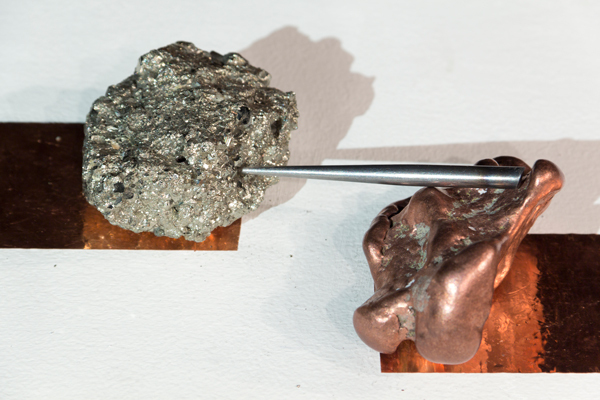 Iron pyrite (FeS2, commonly known as “fool’s gold”) functions as a diode. Also native coper and copper foil. Simek is currently an artist in residence in New York and has two Portland exhibitions planned in the upcoming year. She also has a thriving jewelry line and handcrafted perfumes available in museum stores and online. Simek was selected as a featured artist for PDX Magazine because of her ability to survive as a creative person on her own terms, in addition to her mastery of blending science and art. We must all develop a personal language; for Simek, it is the waves of sounds, the mechanics of our industrial past, and the incorporation of others’ lives around us. Radio Room tuning apparatus. 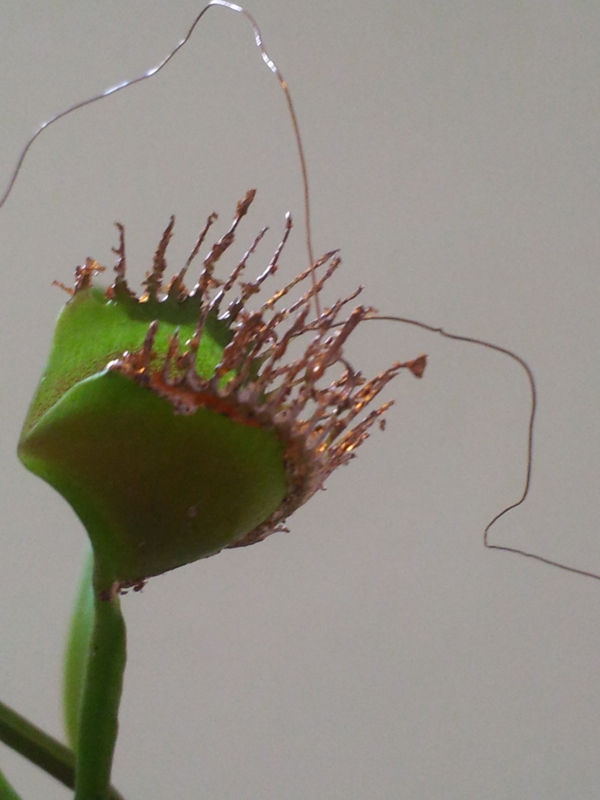 Tuning coil using copper tubing. Also native copper and copper foil.